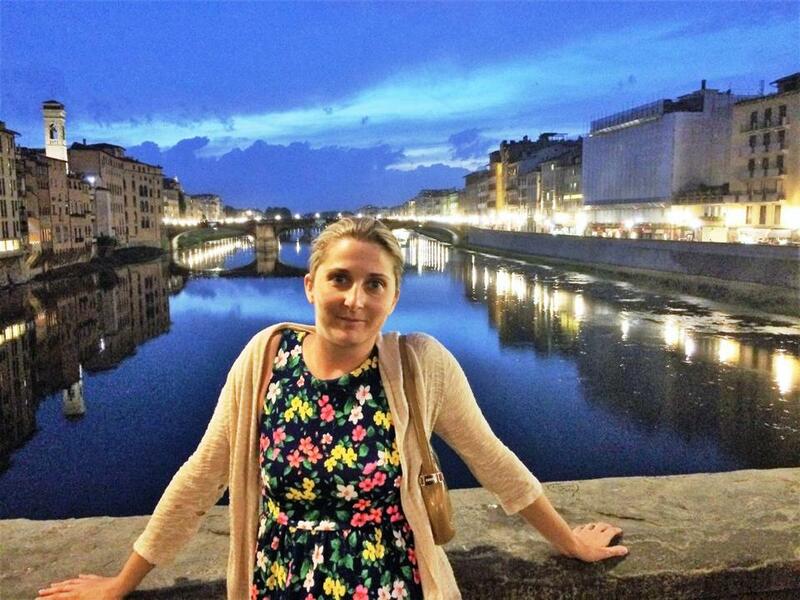 Marianne Curcio during her honeymoon in Florence. When I made the decision to go to graduate school, I was certain of only one thing; under no circumstances would I take out any more student loans to fund my education. Applying in my mid-30s, I had the advantage of a little bit of life experience. I no longer believed in a system where the price for higher education was debt. I would sooner home-school myself and earn a self-granted imaginary graduate degree before I borrowed one more penny from our federal government — one of the few governments that makes a profit off interest collected on student loans. For many students, especially undergraduates, government loans are quite literally the only path to higher education. If you come from a wealthy or even upper middle class background and are in any way financially supported in your educational endeavors, then consider yourself lucky. For many Americans, the cost of a college degree is theirs alone and loans — even in combination with scholarships and grants — are the only option to pay tuition. After looking around at several graduate programs, I kept coming back to my alma mater, Salem State University. I was attracted to its graduate writing program not for the reasonable price tag of a state school, but for the remarkable talent of the professors they employ, some of whom are national and international experts in their field. I was also drawn to the intimacy of the program and the open door approach of most of the faculty. She was not only open to this plan, but also familiar with it. Many of the students in the program hold full-time jobs and were approaching their degree at a similar pace. I quickly learned that I wasn’t alone in my resolution to not borrow money. A graduate degree in many fields can translate into greater earning potential down the road. However, in lower paying fields such as social work and the arts, a graduate degree may not always pay for itself. I was worried about the momentum that might be lost or the sense of immersion that I may not feel by inching my way through. These fears were quickly put to rest once I was accepted into the program and began my course of study. Welcomed with open arms would be an understatement. The family (there really is no other word) of graduate professors exceeded my expectations with their support of the unique path of each student. They were constantly giving of themselves and their time, often offering to meet for coffee or read my work through e-mail even when I was no longer a paying student in their class. Their commitment was inspiring. I am still paying off a moderate amount I borrowed to pay for my bachelor’s degree, and the relentless task of coming up with even more cash to pay for graduate classes has proved to be trying. But it’s so very worth it. Extra shifts at the restaurant, a paid assistantship working for a professor, and the very occasional check for freelance writing have all contributed to financing my graduate pursuit. Surprisingly, a jar in my bedroom labeled “tuition” has proved to contribute more than I expected. As familiar faces graduate and move on, new faces appear in classes or at readings as I continue at my snail’s pace. Although the idea of “hanging out” in a graduate program isn’t all that uncommon, my pace does not reflect a lack of motivation or direction, it reflects my belief that higher education in America is a gateway to crippling debt that few students are fully aware of or prepared to tackle as they advance into professional life. When our monthly student loan payments are in the same ballpark as a mortgage payment, we know that we are part of a broken system. I’m happy to hang out in my graduate program for as long as it takes to responsibly finance it. I’m thrilled to have chosen a university that supports my decision to pay as I go. In the end the education we gain can be celebrated together, but the debt we accrue is ours alone. Marianne Curcio lives in Newburyport. She can be reached at curciowriter@gmail.com.